The picture of this Black-crowned Night-Heron was taken at the Jamaica Bay National Wildlife Refuge. The picture of this Black-crowned Night-Heron was taken with the CANON EOS 7D and the CANON 100-400 lens and the CANON 580EXII flash. 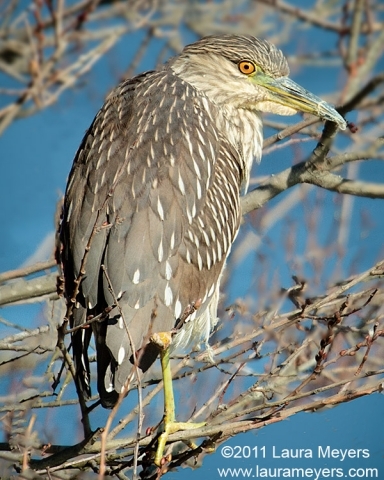 This entry was posted in Birds, Jamaica Bay Wildlife Refuge and tagged Black-crowned Night-Heron, Jamaica Bay Wildlife Refuge on November 30, 2011 by Laura Meyers.